It’s time to start unveiling the new shades of Milburn 4ply – hooray! When I first designed Milburn 4ply the colours I chose were ones that were from my palette (obviously!) but also ones that I felt that you’d like. That sounds a bit obvious, but it was so hard to choose just five colours, and I didn’t have the confidence I have now. The pressure was huge. This time around, I have gone more with my heart than my head – that requires more confidence, and feels more risky, but I have to say I think it has really paid off, as these things often do. The five latest colours are beautifully muted and soft without being insipid, which is what I always aim for. The palette is now much wider too; there’s so much scope for colourwork. Today’s new colour is called Rain. It’s a soft blueish silver, designed to be neutral but have life of its own at the same time. 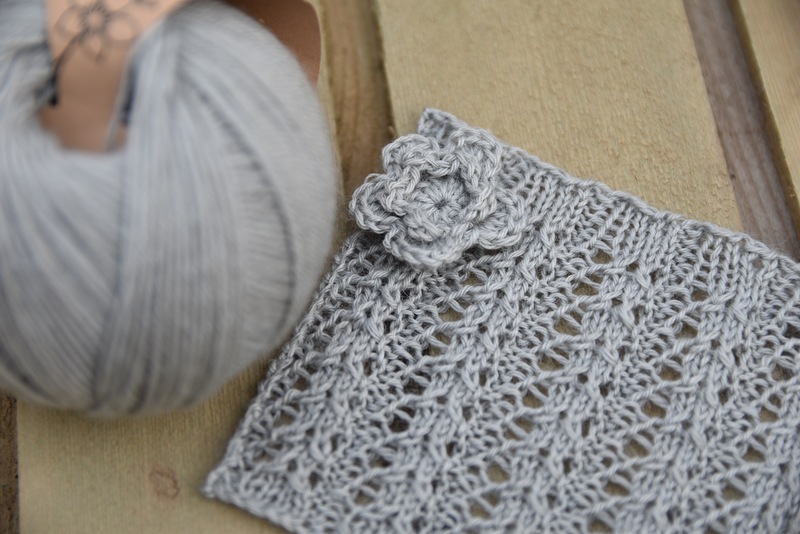 This shade will look great for delicate lace patterns, and detailed cables. It’s fair to say all the Milburn 4ply is good for lace and cables to be honest, but with this delicate wispy shade I imagine Austen-style delicacy, if that makes sense. The pale colour and shimmer from the lustre of the fibres (beautifully worsted spun) enhances this shade in that way. Of course the goes with the other new shades too, but I’ll have to show you as I reveal those.